This Lancaster Table & Seating 24" round table top is 1 1/8" thick, and has a laminated, cherry finish on one side, and a black finish on the other side. 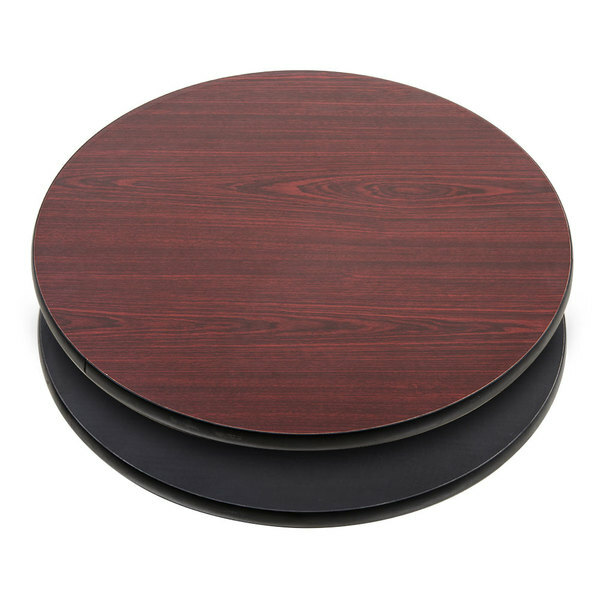 The black plastic molding on the edge protects this 24" round table from chipping and scuffing. This table top is easy to both install and reverse, and a perfect fixture in small restaurants, pubs, or bars.